Police Inspector William Wisting and his journalist daughter, Line, return in Jorn Lier Horst’s second book to be translated into English. Following the grim image of severed feet being swept ashore in Dregs, this book is no less visual, as dead birds begin to fall from the sky surrounding the site of the murder. The reader gets a feel for the beautiful landscape around the fjord, and the bitterness of winter in Norway. Opening in a cluster of holiday cottages on a dark night, a man discovers his cottage has been overturned by burglars. Wondering after the safety of his neighbours, he soon discovers his is not the only property to have been targeted, and a dead body greets him in his search. As Wisting is called to investigate, he is taken aback by the brutality and strange circumstances of this murder. Meanwhile, Line is struggling with the end of her relationship and decides to retreat to Wisting’s own holiday cottage, against his better judgement. As the case unfolds, Line finds herself caught up in the case in surprising ways. 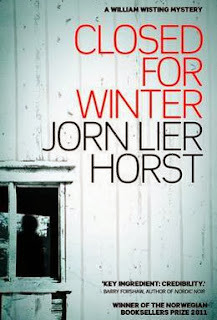 Jorn Lier Horst’s writing is characterised by a strong plot, in which all the loose ends come together to form a satisfying, believable conclusion. The author’s own experience working for the police shines through. This piece was commissioned by Book Trust and first published here.